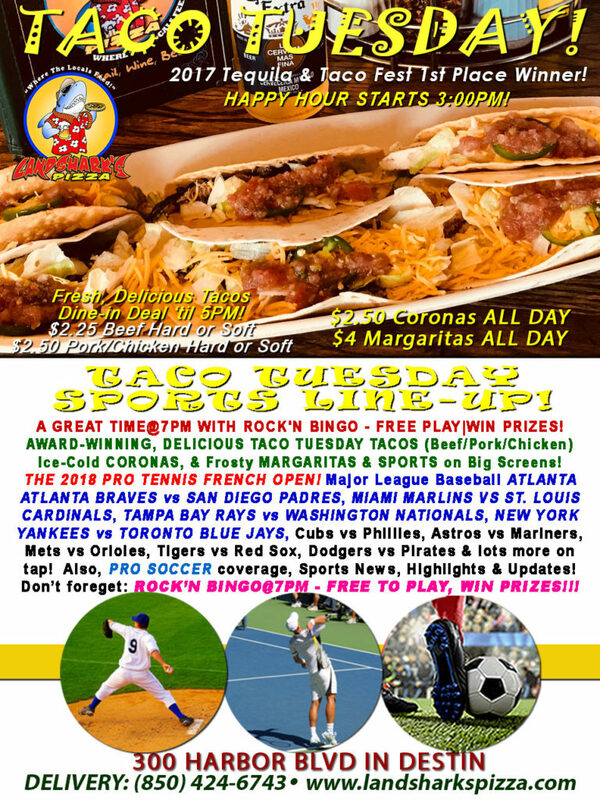 / Best Taco in Destin FL / Landshark’s Taco Tuesday 2018 THE FRENCH OPEN, BRAVES vs PADRES, Marlins, Yankees & Tons More|ROCK’N BINGO FUN at 7PM! 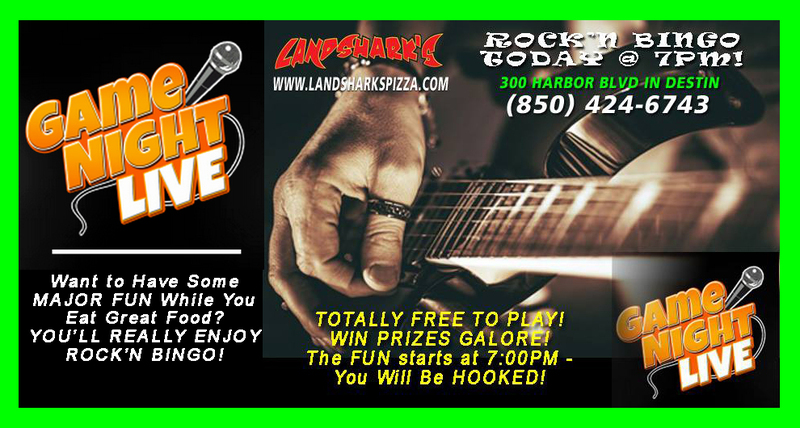 Stay chill and relaxed during the hottest weekday in Destin with Landshark’s Taco Tuesday featuring TACO, MARGARITA & CORONA SPECIALS plus we ramp up the fun with ROCK’N BINGO, MLB, Soccer, Tennis & other sports action! Enjoy Our AWARD-WINNER TACOS Tuesday Specials: $2.25 BEEF, $2.50 PORK OR CHICKEN (dine-in ’til 5pm with regular drink purchase). Also featuring $2.50 Coronas & $4 House Margaritas ALL DAY LONG! 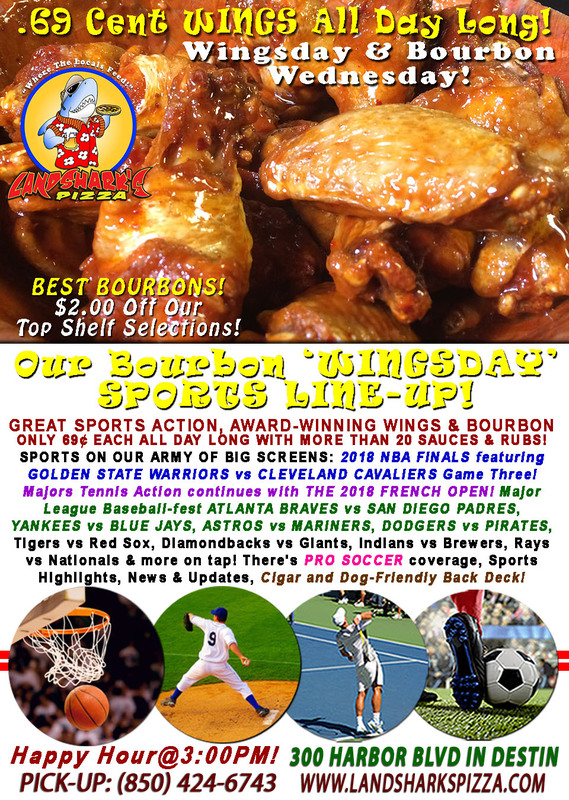 HOT SPORTS ON OUR ARMY OF BIG SCREENS – 2018 FRENCH OPEN TENNIS, Major League Baseball ATLANTA BRAVES vs SAN DIEGO PADRES, MIAMI MARLINS VS ST. LOUIS CARDINALS, TAMPA BAY RAYS vs WASHINGTON NATIONALS, NEW YORK YANKEES vs TORONTO BLUE JAYS, Cubs vs Phillies, Astros vs Mariners, Mets vs Orioles, Tigers vs Red Sox, Dodgers vs Pirates & lots more on tap! Also, PRO SOCCER coverage along with Sports Highlights, Sports News & Updates! 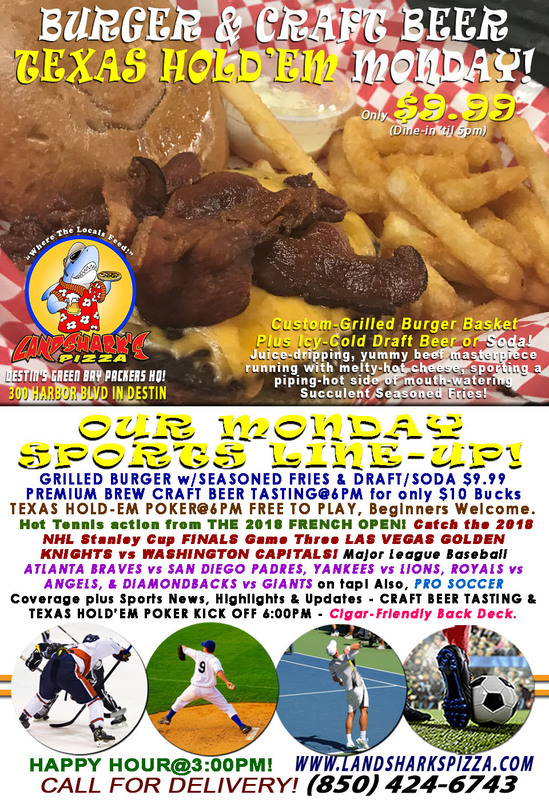 Previous Post: « Beef & Brewskie $9.99 & Stanley Cup GOLDEN KNIGHTS vs CAPITALS & FRENCH OPEN! BEER TASTING & TEXAS HOLD’EM POKER@6PM!